Good News Camp Team Meal! Good News Camp Team Meal! Great to say THANK YOU to these people/friends for helping at last year Camp and to encourage them to sign up for this years adventure (Sunday August 18th to Friday August 23rd 2019) – if you want to join the team, then contact me. 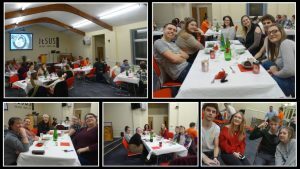 For those others who couldn’t make the meal – you were missed!